As much as I love summer and all the fun it brings to my wardrobe I really embrace the colder months. Sure, I’ll moan about the rain like all good Brits but I love snuggly jumpers, dark evenings and hot spiced drinks. A/W ’17 is looking pretty extra to me with bold red outfits, slogan tees, amazing tights and over the top embellishments dominating the runways. Can I get a ‘hell yes’ for all of this?! So who’s with me? 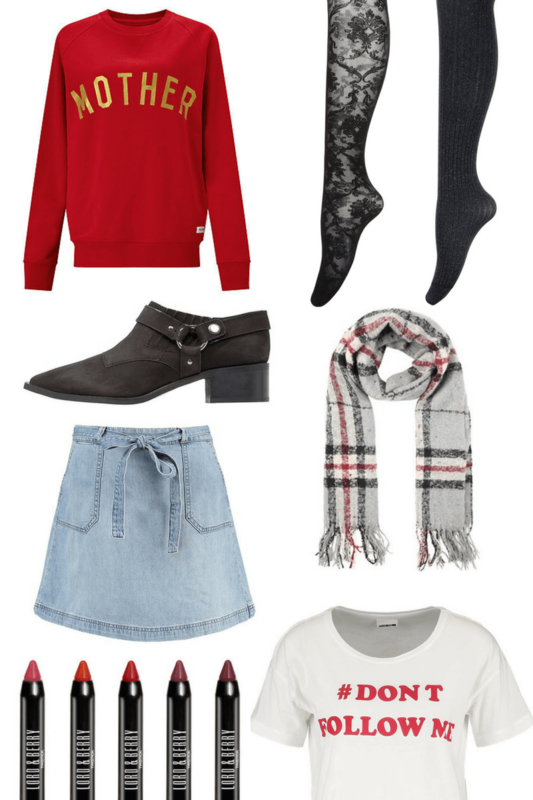 Oversized jumpers, berry lips, trusty boots and denim for days. That’s my standard look I think to be honest and with the addition of some plush scarves and cool tights I’ll be brought bang up to trend. Like a lot of parents I am terrible for spending most of my disposable income on Luisa, specifically on her wardrobe. I often joke to Matt that we shouldn’t have art on her walls, we should just hand up her clothes sane as they cost an arm and a leg. What can I say, I’m a sucker for expensive knits. I am getting better at remembering there’s a ‘me’ in motherhood – somewhere, if you rearrange the letters! So recently i’ve been treating my bad self, on a budget of course. The joy with online shopping is that there’s nearly always a good offer somewhere. I can keep an eye on retailers I love like Boden, Cheap Monday and Vans to see when they have a sale on. Am I an Attachment Parent or a Martyr?